I finally read John Green's The Fault in Our Stars. I am really glad I did. I was captivated by the ways the characters experienced their interior lives together, the way they took lonely separateness and made something new. They co-created narratives about what was happening around them that were sparkly, beautiful, larger -- much larger -- than what they might have conjured on their own. It was a painful story and a lot of it focused on the unknowableness of the future. I didn't expect it to provoke reflections on memory, but it did. This is such a beautiful, evocative statement about the social aspects of memory. It conveys the meanings of heavy-hitters in memory theory like Halbwachs and Nora in the voice of an unbearably smart sixteen year old girl struggling with grief. The idea that memory is socially constructed, that we make it together as opposed to pulling it wholly formed out of the recesses of our brains, comes in large part from social theorist Maurice Halbwachs. He introduced the idea that all our personal memories are filtered through our social worlds. Collective memory is aggregated individual memory that is shaped and maintained by the social frameworks that surround it. Halbwachs said that individual or autobiographical memories only ‘stick’ when they get reinforced through repetition within a social framework that finds them useful. This shared social framework becomes the locus through which groups manifest and communicate their values, norms and ideals. This process is inherently social. 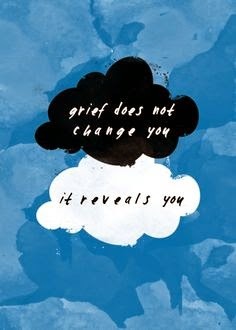 For Hazel Grace, losing the social world that sustained the memories was like losing the memories themselves. Not like. It was losing the memories because the social world in which they came alive died with Augustus. French historian Pierre Nora said something similar in his totally cool discussion of lieux de memoire vs. milieux de memoire. He basically says that once memories no longer have living environments that nurture and sustain them, they have to be concretized. The living social world that makes memories part of everyday life (the milieu de memoire) gets replaced with something more permanent (the lieu or site.) Your grandmother showing you how to make a berry crumble in her kitchen, just like her mom made, gets replaced with a little family cookbook with all your grandma's recipes written down. The time in the kitchen, together, laughing, up to your elbows in blueberries and flour vs. the little book open on the counter. For Hazel --- the swings vs. the book itself in which she refers back to the swings. I have this phrase in my head for some reason, "remembering with." The awesome Guy Beiner might have used it in his book Remembering the Year of the French, which is pretty amazing. His work moves us away from memories as products of social relationships and social environments. It reminds us the ways in which remembering is a process, an activity, a way of being together. In Hazel Grace's grief, she looks back on the "pleasure of remembering." We all know that remembering can be painful and upsetting. But here, even in her pain, she can look back on remembering as being joyful.....as more than an action, more than an activity even ---- as an act of building, making, ac act of love. You know, for a long time I have found fiction difficult to read. I often hate that I get taken away from the magic of being transported by a novel and plopped back into thoughts like these -- about memory and social worlds that shape them, about loss and absence. But, this time, I actually experienced a deeper engagement with the novel because of the ways my brain works and that makes me pretty happy.